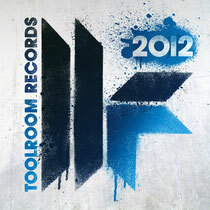 As 2012 draws to a close, it’s been another top year in the world of electronic music for Toolroom Records, reflected in today’s release of ‘Best Of Toolroom Records 2012’, its yearly roundup of the label’s biggest tracks from the last 12 months. Featuring sounds from both the Toolroom Records and Toolroom Trax catalogues, this year’s compilation includes house, D&B, dubstep and more from artists such as Mark Knight, Hardwell, Tiesto, Totally Enormous Extinct Dinosaurs, Fedde le Grand, UMEK, Dusky, Total Science, Tong & Rogers, Kevin Saunderson, Noisia and more. Fans can relive Miami, Ibiza, Amsterdam, and every beat in-between with 43 massive full and unedited tracks and two full-length DJ mixes. Compiled from 52 weeks of top-10 chart hits, play-listed anthems, and some top floor destroying moments, this is dance music at its very best.